Having problems logging in to the new app? Having problems downloading the new Energy IQ app? 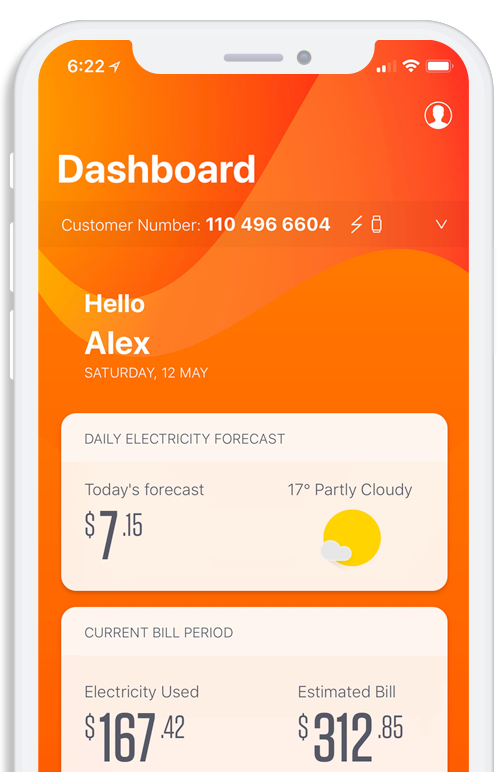 The Energy IQ app works on iPhone 5 and iOS 11.0 or later. If you have an older iPhone or operating system, you won’t be able to download the new Energy IQ app. Having problems registering for the new app? Where can I find electricity, gas and bottled gas prices and offers? You can find an indication of the prices we have available on our Plans & Pricing page. Where do I find my account balance and how do I understand my bill? Click here for better understanding of your bill or you can register or log in to use Energy IQ to locate your account balance. You can pay your Genesis Energy bill in a number of ways and we offer prompt payment discounts when your account is paid in full and on time. To make a quick and easy payment on your account log into Energy IQ or use your Energy IQ app. We do not accept cash payments, please do not send cash via post. For all the ways to pay Ways To Pay Your Power Bill on our website for information on how to pay your bill. Why haven’t I received my email bill/ebill? Ensure our emails reach you by adding [email protected] to your address book. And with spam on the rise worldwide, please check your spam or junk folder of your mailbox. As email providers make improvements for spam protection this can mean that you have to re-do the safe sender process from time to time to ensure that you continue receiving emails from us. In the meantime, to view copies of your bills log into Energy IQ. What’s the easiest way to order a bottle refill? If you’re already a customer you can order your 45kg LPG Bottled Gas refill in minutes through Energy IQ or the Genesis Energy IQ Mobile App. How can I make my bottled gas delivery go smoothly? Please make sure trees are trimmed for the delivery truck, the access way is clear, and the ground is firm and non-slippery as the bottles are heavy. You don’t need to be at home for the delivery, but if you have any potential delivery issues like dogs or locked gates, please provide us with this information. Deliveries will not be made if there is a health and safety risk to the delivery drivers. Ordering by 1pm the day before will help us deliver your bottles on time. How do I know that my bottled gas has been delivered? When a bottle has been delivered there will be a delivery card left in your letterbox or on your bottles telling you when and how many bottles have been delivered. What do I do if a bottled gas appliance doesn’t work? Firstly, check the regulator on top of the bottles to see if your bottles are empty. If there’s still gas in at least one of the bottles, check to make sure your bottles are turned on and check your appliances for basic errors such as a pilot light having gone off. If there’s no obvious explanation, call your gas fitter. Is there somewhere I can take LPG bottles to be filled? Yes, you can take your bottles to be filled at the Genesis Depots below. This is a refill service only, not a swap service where you are able to exchange an empty bottle for a full one. Have fuses in your fuse box blown? Have you received a notification about a planned outage? Please call your Network Company or dedicated faults number or check their webpage for update. How do I get hold of the network company in my area? Please click here to view fault numbers to call. How do I organise moving address and how do I know my power will be on? How long does it take before I receive my first bill? It’s mainly dependent on the type of fuel you are switching. You should expect to receive your first Genesis invoice within 4 to 6 weeks of signing up. If your first bill is based on an estimated read, you can submit your meter read through your Genesis app. Is there any cost to move properties? To check if there are any costs please call us on 0800 300 400. If something is wrong, let's fix it.